It’s better to depend on Germany than on Russia. 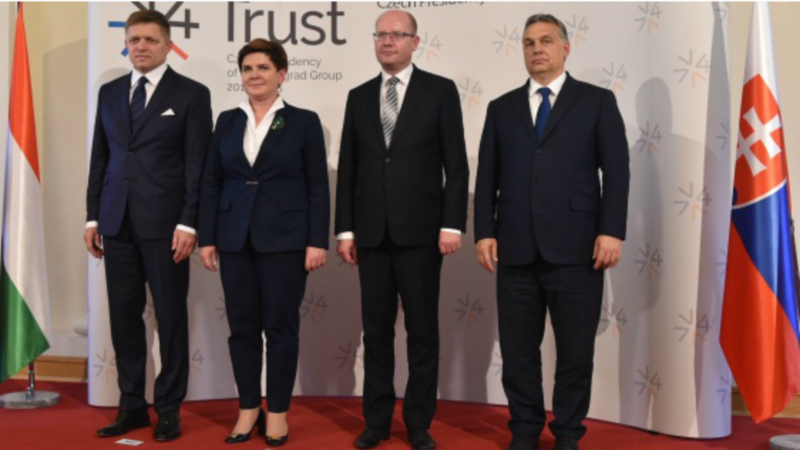 Still, if the future of European leadership is either Merkel or Schulz, it’s a choice between a bad and worse, Mirek Topolánek told EURACTIV Poland. Topolánek was interviewed by euractiv.pl Editor-in-Chief Karolina Zbytniewska. You left politics in 2010. Are you considering a comeback for the October elections? My determination to come back is low because to be effective in politics you need some base – a party or a movement. I don’t have anything. It’s the first reason. The second is that today’s politics in the Czech Republic – but also in the whole of Europe – has become simplistic, devoid of values. Values and ideologies have been taken over by populism. It is very easy to surf on the wave of populism, of anti-immigration and anti-European rhetoric. While prime minister I was a Eurosceptic. But simultaneously I was a founding father of a Movement for European Reform with the PiS, with the Tories and other centre-right, conservative parties. I established it with my friends from the European Parliament’s ECR group but not with the goal of destroying the EU. I am for the reformist approach. Do you think that the V4 goes in the wrong direction in its Eurocritical tendencies? I always tried to unify the V4 to work together for something useful. 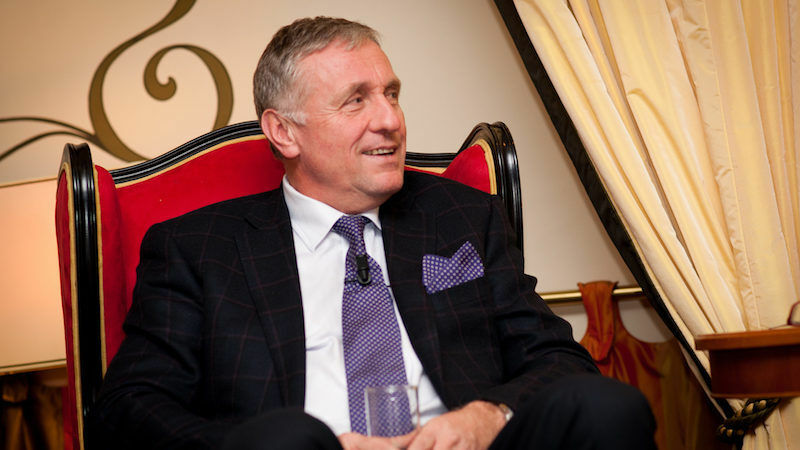 It was a lucky period because I was able to discuss with my friends – the late Lech Kaczyński, Robert Fico and Ferenc Gyurcsány – unifying our approaches, interests and push through – (and) sometimes against – the ideas of the European structures. But today, the V4 seems to unify for negative goals choosing anti-European topics, and so ceasing to work as a positive force. In my view, the V4 is going down. The relationship between Poland and Hungary was harmed by Orbán. 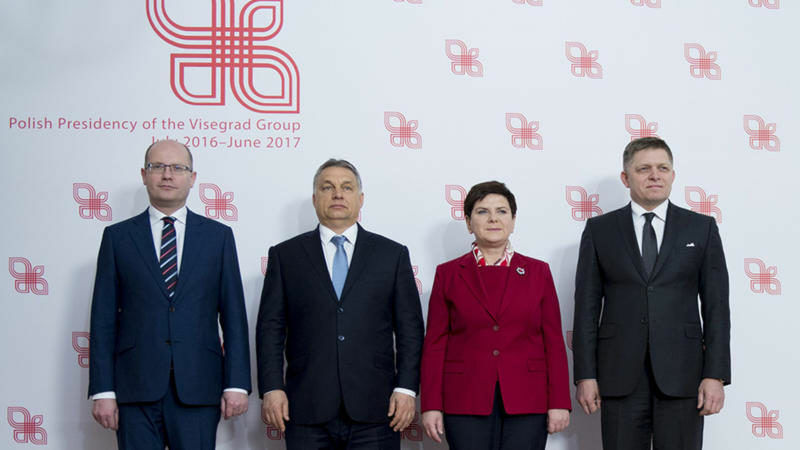 This harms the overall V4 synergy taking into account the fact that Visegrád has been fuelled by Polish-Hungarian cooperation. Poland is a big country that is always trying to play the role of a regional power, based on its excellent relations with the US and very strong position in the EU institutions. Now, this has changed with the Polish government’s policy against Russia, against Germany, which is difficult to understand. Unfortunately, the V4 has lost its position in the European game. Poland has become a little isolated. But exactly the same is taking place in the Czech Republic, as well as in other EU countries – and in America. It must be Western European civilisation’s tendency to destroy itself. It is visible in the US, it is visible in EU structures. This European dream of unification of Europe is now threatened, because of the play of totally different interests, with Visegrád just one player and often divided internally. To the opposite, we are leaving behind the 1970’s political correctness and multiculturalism. You are also no master of political correctness. But there’s a difference between political incorrectness and impoliteness. To be politically correct is to hide problems. If Germany is too weak for the refugees and migrants, nobody is willing to name this problem, not to mention to solve it. It’s about an inability to name, to identify. In Poland, I see resistance against this tendency is very strong and, probably will be overcome. I understand the mental problem and resistance of the Polish people, when Poland was cut, was split. The western part was destroyed by Hitler, while its eastern parts (were destroyed) by Stalin. Then borders were moved a hundred kilometres to the west. It must be a real problem for everyone who feels Polish. But on the other hand, I am afraid of the isolation of Poland. But the V4 isolated itself with its Euroscepticism. The processes taking place in Western European civilisation today are dangerous, as they stem from resentment and models of behaviour from the late 19th century. Central Europe has never been an easy region. For example Czechoslovakia, the Czech Republic and Slovakia – over 400 years, they were free for no more than 40 years. That’s why we are more sceptical, more cynical, and not so nationalistic. We don’t perceive our national identity is a huge issue for our countries. On the other hand, the concentration of property – the oligarchicalisation of society and corporate style of running governments is now visible all around Central Europe. We are able to unify in a negative agenda, but not around positive approaches and interests. Why do you think Poles vote for PiS? Why do they support Victor Orbán? Why do they lean towards Andrej Babis? These voters are stupid. Maybe it is possible to explain it economically. Do you know how many people depend on a public budget? On tax redistribution including social transfers, but also public tenders for private companies? 60-70% depend on the public budget. And a huge part depends on European funds. So our people don’t want a liberal economy. Instead, they wish for bigger pensions, bigger salaries, bigger social subsidies, and more public support. That’s why people are afraid of the future. Politicians threaten voters with the immigration problem, while in Central Europe it’s not a problem yet. But people believe in every populism. In 1989, 1990 we were unified against the communist regime, but now after 27 years, it is very difficult to find any common positive direction. You seem to treat united Europe as though it were a rotten, pragmatic compromise. What alternative would you prefer? I used to be a Eurosceptic but I don’t want to destroy the EU. Germany has a strong position in Europe. It is dangerous because we have to follow German dreams. Now their dream is this fight against climate change. To push on everybody, all the EU countries, the same dream, the same goal, the same criteria. It’s very dangerous to me. You said that voters choose right wing, anti-establishment populists because they are stupid. I think this attitude lacks empathy. People don’t care about the politics and political parties’ programs, only in personal gossip and scandals. The American economist Bryan Caplan interestingly explains the concept of “rational irrationality”, which, in simple words means that voters are stupid. They are not stupid. They are uneducated, frustrated and poor. They are the losers of globalisation. They believe in absolutely stupid promises. Populist promises sound better than data, reality and actual politics. And of course, it’s easier to dream than to live a real life. They follow these dreams because irresponsible politicians persuade them to do so. It’s very easy now to make promises because there are many threats. Migration is a real threat. No, not in itself. Terrorism is a threat and uncoordinated migration is a threat. Massive migration is the same threat as terrorism because I don’t want to change our historical behaviour, customs and reality. When people come and accept our tradition, our rules, our laws, then I am not against migration. There are many Vietnamese, Ukrainian and other nationalities living in my country and it’s not any problem whatsoever. There’s also a difference between economic migrants and refugees. We have signed the Geneva convention so we have to accept refugees but the current situation has overcome our ability of absorption and we have to solve it. I was very proud when during my mandate we pushed Poland, Hungary and the Slovaks to implement further steps of the Schengen agreement. It looks like a mistake now, because we’re not able to protect ourselves outside the borders of Schengen. Schengen is dead, The European Union after Brexit is dead. Because nobody is strong enough to stand up and name these problems. But why are you saying that after Brexit, the EU is dead? Brexit was the last warning. But just one country has left. We are 27 strong countries now. Not to mention the fact that the UK has often blocked the furthering of the European project. Now we are just waiting for the new problems – with elections in France, Germany and other countries. And there are no strong elites with a long-term vision. It’s a big danger for everybody because at the same time we have problems with migration, we have misunderstandings between the US and Europe, we have problems with Kremlin. The list is too long. It would be wise to unify, but domestic interests and deep resentment will be stronger than any unifying force, especially within the V4 group. You said that the V4 lacks a positive agenda, and neither does the EU. So how would you envision such a positive agenda for Europe that could unify us after Brexit? When we established with the Movement for European Reform, we tried to identify the tools for reforming the EU. I’m afraid that we weren’t successful. Maybe it is impossible. The EU is now more a political project than an economic one. 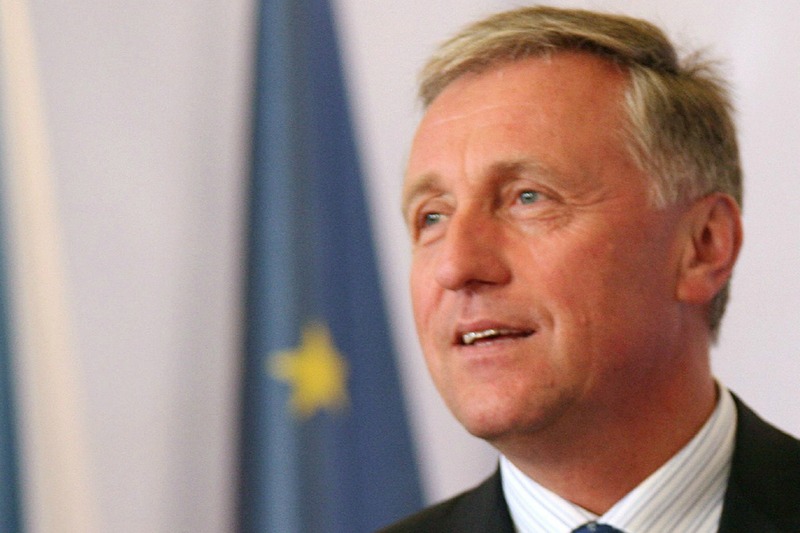 EXCLUSIVE / Mirek Topolánek, former Prime Minister of the Czech Republic, and President of the Council of the EU during the Czech Presidency in 2009, is now in charge of the promotion of the Eastring gas pipeline project, designed to link Central with Southeastern Europe. 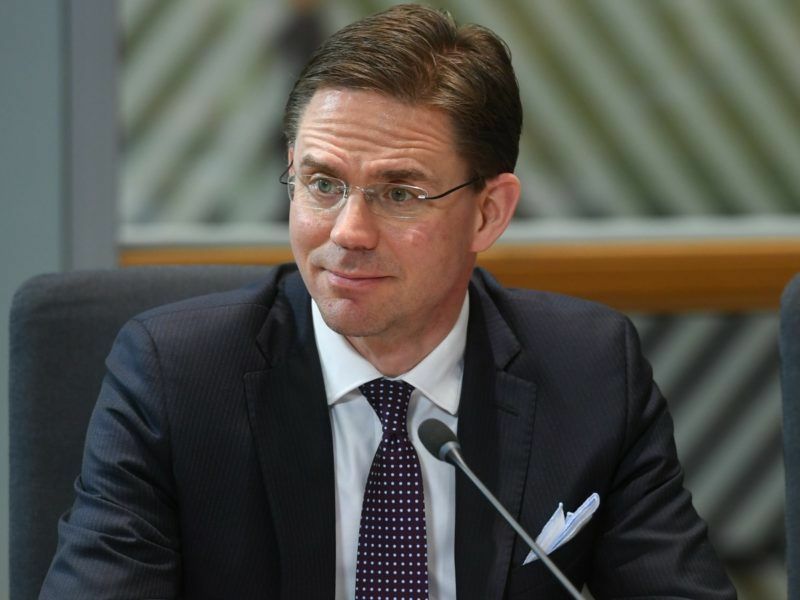 On a visit to Brussels, he explained the project to EURACTIV. never heard about Mirek but i ve to agree with him. A point his comments should raise is , Why are the EU clearly trying to antagonize Britain into a more harmful exit from the EU , when a close trading relationship would be more beneficial to the unity of the EU ? The answer is simple, the EU wants to make an example of the UK. If other EU countries see that brexit worked out well for Britain, they will follow suit.